There are special concerns when it comes to fire safety in apartment buildings. Families in apartment buildings live close together and frequently involve each other when it comes to a fire. While the chances of a fire starting in an apartment are about the same as ina private home, apartment fires have the potential to spread fire, heat, and smoke throughout the building affecting the safety of all occupants. A key to being safe in apartment buildings is to know how to react when you smell smoke, see fire and/or hear the fire alarm go off. All occupants need to know the proper safety procedures and prevention measures while dealing with apartment fire safety. There are very simple steps you can take to prevent yourself from getting injured — or even worse, dying — from the injuries you receive. 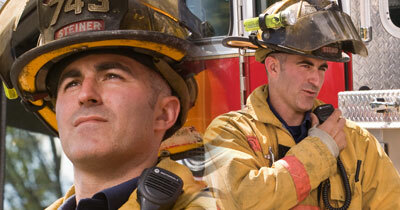 Every year there are approximately 15,500 fires in apartment buildings. About 60 people are killed and 930 people are injured. 69% of all apartment fires occur on the Fourth Floor or below. 43% of the fires are related somehow to cooking. 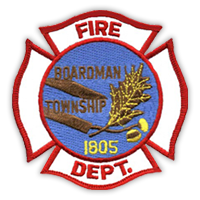 Boardman Township and surrounding communities have no equipment to reach any floor over 100 ft. (7 floors). If door is warm or blocked by smoke, close the door and try another way out — or stay in the area until help arrives (call 9-1-1). If you can get out of your apartment, make sure to CLOSE your door behind you. Always use the stairways, never the elevators. If you cannot go down the stairs, go to the floor’s area of refuge and wait there for help. Always go down to get out. Never go up to the roof unless instructed by firefighters. Know your evacuation plan for your building and practice it. If you can safely put out a fire with a fire extinguisher do so. Remember the mnemonic PASS to operate the extinguisher: P-Pull the Pin, A-Aim the Nozzle, S- Squeeze the Handle, S- Sweep the Nozzle. If you have any doubts about using an extinguisher, then just GET OUT. If you hear the fire alarm, GET OUT. Never disregard the fire alarm thinking it is probably nothing. When you leave make sure you close the doors behind you. Never go back in to the building until told to by firefighters. Know your building inside and out. Make sure all fire protection systems are working properly, including fire alarms, fire extinguishers and fire sprinklers. Make sure your building has an evacuation plan and is posted in every room. PRACTICE it with EVERYONE and seek help from the Fire Department if needed. Report fire hazards and correct them.